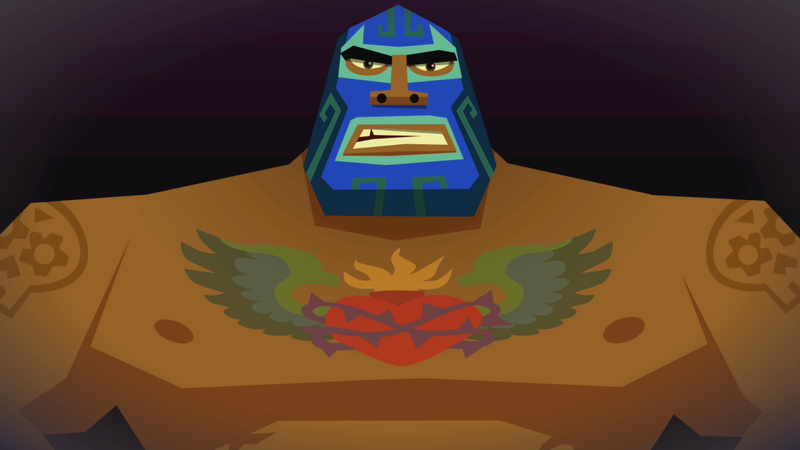 Guacamelee is one of my favorite games of all time. Definitely one of my top 10 favorite games. Why you ask? Well I have a lot of good things I could say about this metroidvania beat ’em up, so I broke down all of my good things into 3 points. They story of Guacamelee takes place in this Mexican influenced fantasy world and you play as a character named Juan. After he witnesses this evil guy named Calaca kidnap El Presidente’s daughter, he comes across a luchador mask that turns him into sort of a super hero. With your new found powers, you travel across the different dimensions of Mexico to save her. 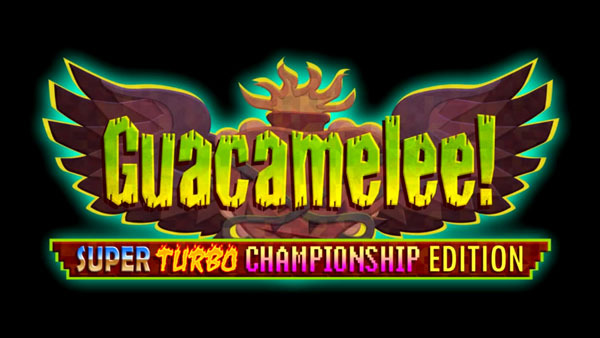 Guacamelee features a simple yet deep combo system that expands as you learn more moves throughout the game. The game challenges you to use each move you learn through the puzzling environment and the challenging enemies that come your way. Multiplayer is also included in the game. It was first introduced in Gold Edition, but with STCE you can play with up to 3 other players for some extra co-op fun! If you want to play in style, you can do that too. 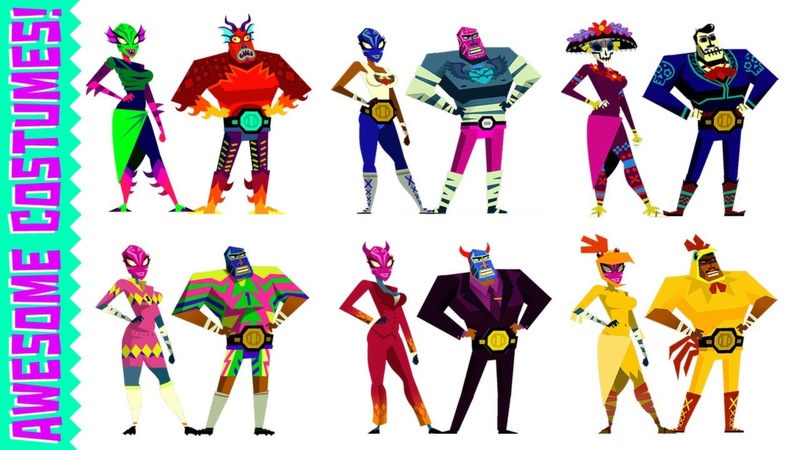 Guacamelee has a dozen different costumes that are available to buy with in game currency. The costumes all have different abilities that can change how you play the game. Make sure you catch all of the video game references throughout the world too. Which is a pretty big deal to me. As a person of color myself, it is awesome to see the main character and supporting cast all be people of color. People of color don’t get enough representation as it is and usually get pigeonholed into a stereotypical role. Which is just the icing on the cake. If you have a PS4, then there is no reason not to get this game. As long as you keep your Plus account up you can play as much as you want. Get it while you still can because time is almost up. 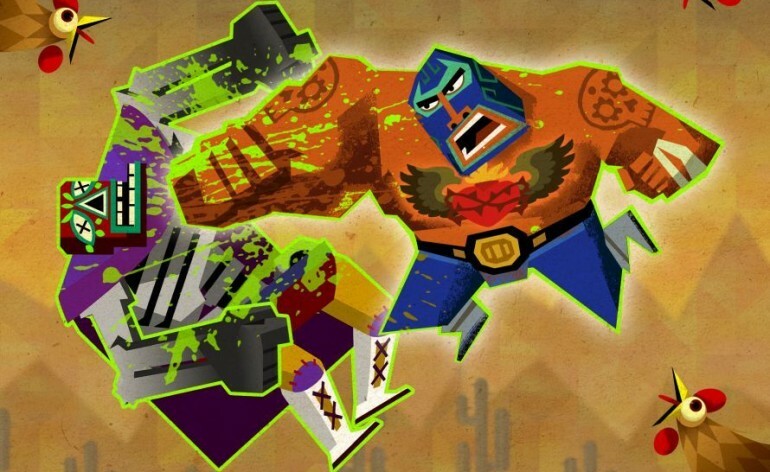 Guacamelee is developed by DrinkBox and is available on PS4, PS3, WiiU, 3DS, PC, Xbox One, and Xbox 360. You know I almost forgot about downloading this this month while it is free. Glad you reminded me and emphasis that I definitely should. Thanks.